November 4, 2016 by Ken Ward Jr.
Regulators found several safety violations in a coal mine in western China where 33 people died this week after being trapped underground in a gas explosion. 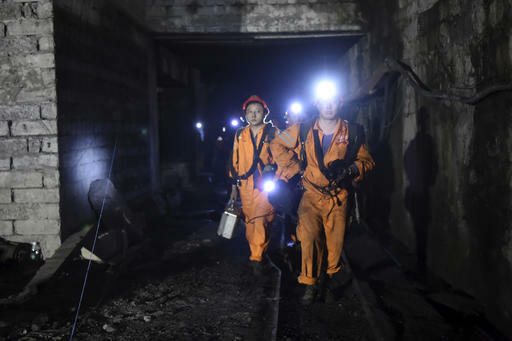 China’s State Administration of Work Safety said Wednesday the mine in the municipality of Chongqing was using outdated equipment and miners were sent more than 100 meters (328 feet) beyond the approved drilling area, causing gas to accumulate. more advanced we are in the United States, and how that sort of cockiness may not be the best approach for encouraging safety and health in our domestic mining industry. One of America’s most renowned medical centers — The Johns Hopkins Hospital — intentionally defrauded hundreds of sick coal miners out of compensation and health benefits while pocketing large sums from coal companies, according to a class action lawsuit filed by the families of two coal miners who died of black lung disease. The lawsuit, which also targets a longtime Hopkins doctor, draws heavily from revelations in an investigative report by the Center for Public Integrity, in partnership with ABC News, about a unit of radiologists who for decades provided coal companies with readings of miners’ X-rays. Those readings almost always said the miner didn’t have black lung, helping the companies avoid paying benefits under a program administered by the federal government. … The investigative report found that the longtime leader of the unit, Dr. Paul Wheeler, had read X-rays in more than 1,500 cases but never once found a case of severe black lung. Other doctors, looking at the same films, found evidence of the disease hundreds of times. Wheeler’s credentials and longtime affiliation with Johns Hopkins often trumped those of the other doctors, however, and administrative judges credited his reports to deny more than 800 claims … The investigation found that in more than 100 cases, biopsies or autopsies proved Wheeler wrong. Over the decades, the villagers of Aberfan have found many different ways to remember. For some it is comforting to gather together in public and they will attend Friday’s anniversary ceremonies alongside family and friends. Others prefer to stay indoors and mourn the loved ones they lost, at home, in private. A number cannot ever bear to be in the Welsh village on 21 October and leave Aberfan every autumn. The fact that it is the 50th anniversary this time makes no difference. 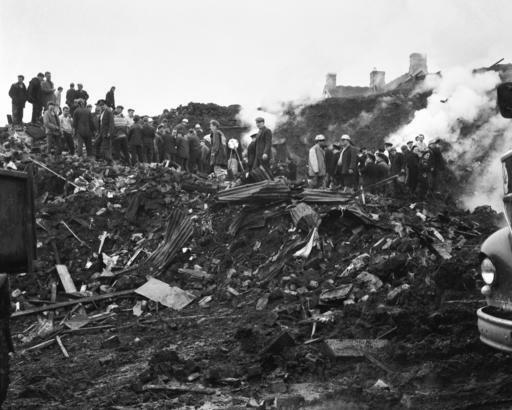 At 9.15am on Friday it will be exactly half a century since the disaster – in October 1966 – claimed the lives of 144 people, 116 of whom were children aged between three months and 14 years. A minute’s silence will be observed in Wales, across the UK and in pockets around the globe. There had been warnings from the village in South Wales, which lived off the state-owned coal mines and under the huge mounds of waste and tailings they produced, but the government ignored them. Fifty years ago, after days of hard rain, a mountain of coal waste and slurry slid through Aberfan in a black avalanche, crushing the town’s school in its path and killing 28 adults and 116 children. As we’ve reported, Aberfan certainly provided plenty of warning to the world — yet West Virginia didn’t listen, and six years later 125 people died at Buffalo Creek. Papers have been filed in federal court in West Virginia seeking a class action lawsuit on behalf of about 2,000 nonunion retired miners who say CONSOL Energy Corp. wrongfully ended their health benefits. Mountain State Justice, a non-profit law firm based in Charleston, filed the papers on Oct. 17. Sam Petsonk, an attorney with the firm, said lifetime benefit plans were withheld or terminated by the company at the end of 2015. Petsonk said the promise was verbal, but the miners declined to belong to a union because of that promise of benefits. Finally, as we head into the home stretch of the Election season, here’s an interesting piece that reports a “battered” coal industry is hoping for Donald Trump, but preparing for Hillary Clinton. Always good to see the Friday roundup!